ISSN=1799-0939. April 2018, Appendix figure 1. 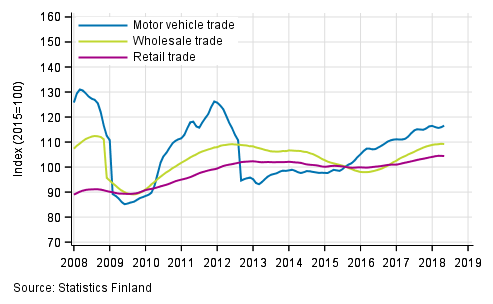 Turnover of motor vehicles, wholesale and retail trade, trend series (TOL 2008) . Helsinki: Statistics Finland [referred: 26.4.2019].